A unique look was achieved by Mat and Leslie Edstrom with New England Classic Beadboard® paneling with customized center stiles. Our product was featured on the DIY Network Sweat Equity episode DSEQ-903 "Tuck Under Family Room". This episode includes remodeling a room with some high-tech products for the homeowner and friends, for relaxing gatherings for a football game, boxing match, concert, comedy show or a Texas Hold 'em tournament! 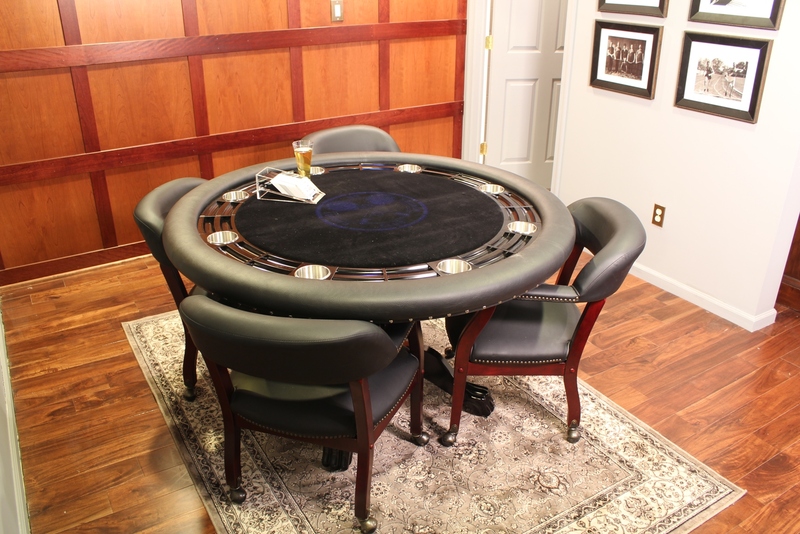 New England Classic provided the custom Classic Modern Wood cherry paneling for this High Tech Country Club Man Cave. Artie Lange is a professional comedian and regular on The Howard Stern Show. Hosts Tony Siragusa and Jason Cameron work with him to build an outdoor table with built-in cooler, media center with disappearing television and a humidor for his man cave. What do you give a famous radio producer and sports fan who seems to have it all? An upscale sports club and bar that will inspire him to hug his surprise celebrity guest. Gary Dell'Abate has been producing the The Howard Stern Show for more than 20 years but isn't too handy with a hammer. Hosts Jason Cameron and Tony Siragusa step in to help. Amy and Duncan Greiner are expecting a baby and need to transform a spare bedroom into a nursery for their little one. The couple will see their room transformed with new windows, the addition of wainscoting and new paint, as well as new storage.